Question to myself; what should I do? 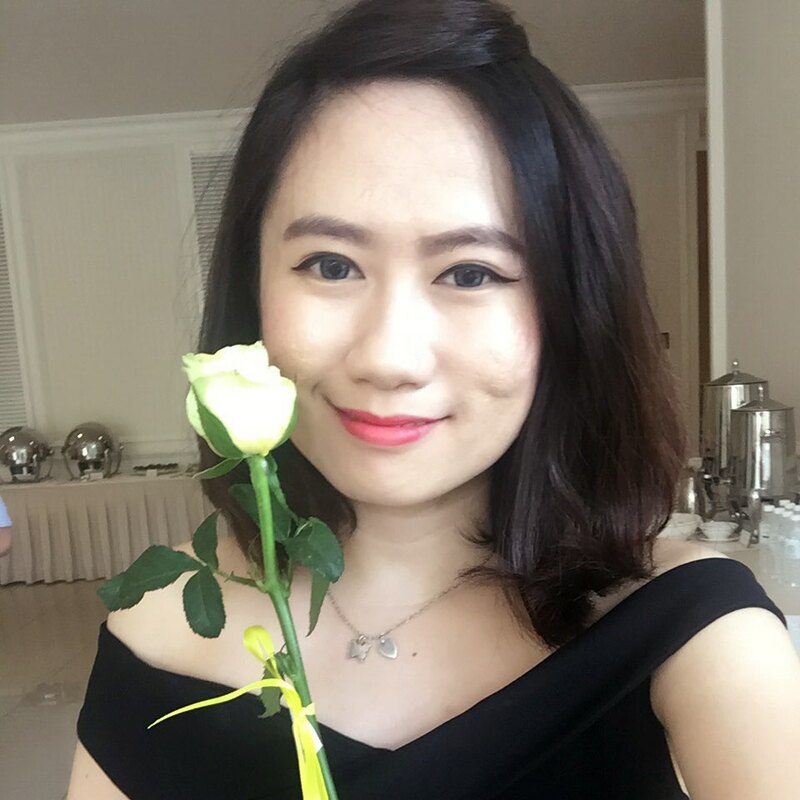 How to take care my skin so that it stay young without ageing? Bird’s nest has been consumed for over 400 years. Its restorative and nutritive properties are well-known to help promote glowing health, general wellbeing, and to improve our body’s immune system. Now, with NUTOX Oxyfusion, our skin too, can benefit from the restorative and nutritive properties of bird’s nest. Regular use of NUTOX Oxyfusion will help restore our skin’s youthful appearance. 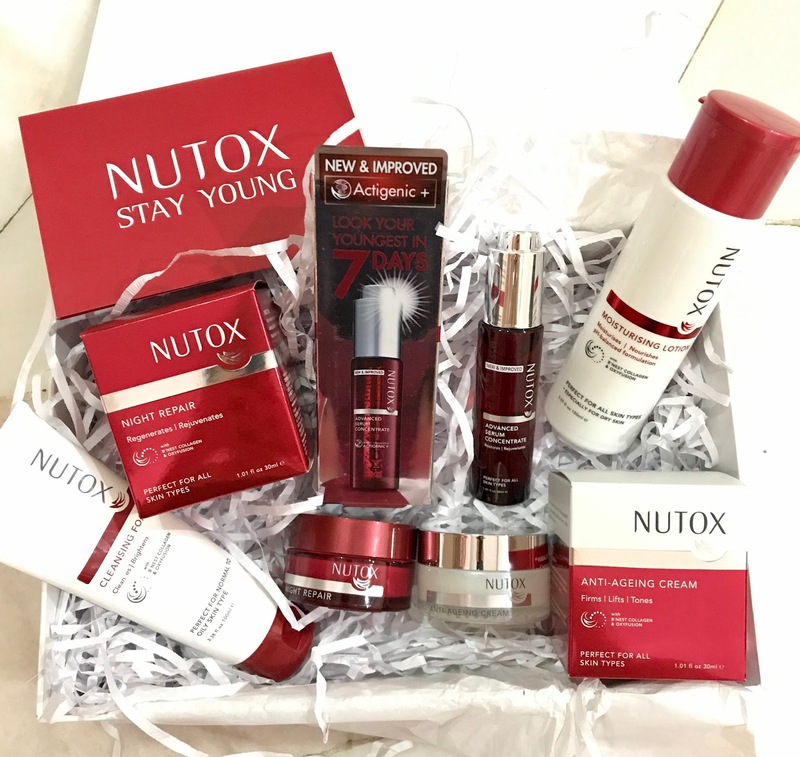 The NUTOX STAY YOUNG skin care set consist of cleanser, toner, serum and moisturiser cream for day (white) and night (red). Follow the step to look younger in 7 days. Use this renewed Nutox Cleasing Foam to wash away pore-clogging residue & feel the non-drying freshness. A rich lathering cleanser which also brightness & protects skin against visible signs of ageing. Skin looks younger, feels hydrated, refreshed and smoothened, instantly. Infused with Bird's Nest & Botanical ingredients for long-lasting moisturisation up to 72 hours. Fine lines are smoothened, skin is nourished & firmed up. Its lightweight texture enables quick & complete absorption for better results. This new & Improved version serum. It help to restores and rejuvenates skin to look younger in 7 days. This lightweight serum speeds up the production of the skin's natural collagen, elastin and hyaluronic acid. It contains actigenic+ which is a unique technology that produces and maintains collagen that your skin needs. Helping in improving skin's elasticity. The texture looks thick at first sight. However, it can be easily absorbed by my skin. Powerful anti-wrinkle targeting in firming, lifting and toning your skin, to smoothen fine lines and wrinkles in 2 weeks time. This cream infused with Bird's Nest and Botanical extracts to rebuild the bonding between collagen and elastin, expect young-looking and firmer skin. Smooth and supple. Contained concentrated formula with 24 hours moisturising effect, packed with Bird's Nest essences to help improve the appearance of deep lines and wrinkles in 2 weeks time. It corrects yellowish and dull skin and improves complexion and micro-circulation. Using continuously for 4 weeks, your skin would be rejuvenated and visibly younger-looking. My favourite Nutox product goes to this charmingly Burgundy bottle. The Advanced Serum Concentrate. I like how it fulfills what it claims as to Look Young in 7 days. 118 Malaysian women who have tried Nutox Advanced Serum Concentrate agreed that they look younger in just 7 days! 98%* of women noticed lesser appearance of wrinkles and smaller pore size, while 97%* also said that their fine lines became less pronounced. 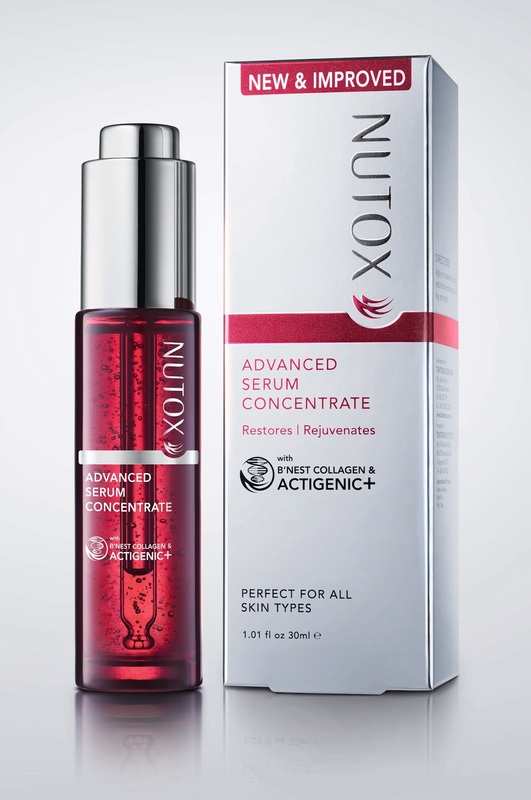 With Nutox Advanced Serum Concentrate, skin texture becomes smoother, skin feels firmer and more lifted, the complexion is brighter and healthier-looking, and the appearance of fine lines and wrinkles are visibly-reduced. 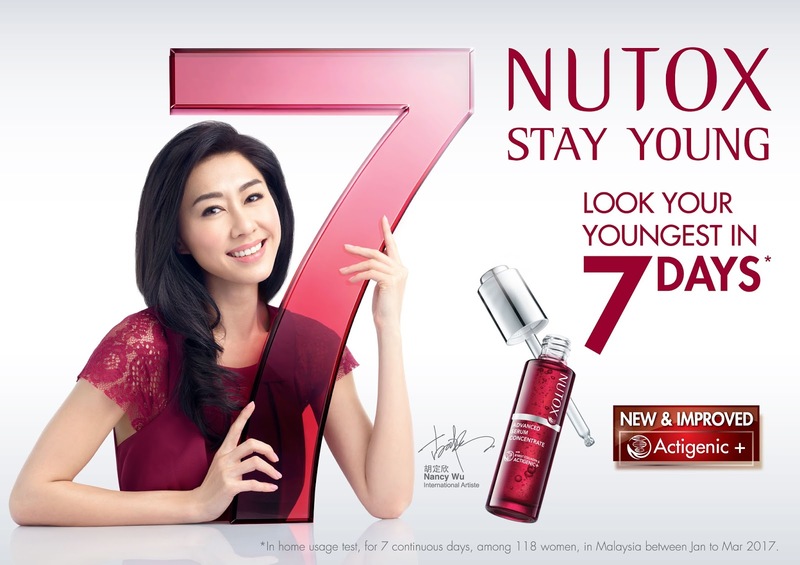 To look your younger in 7 days, try Nutox Advanced Serum Concentrate (RM 79.90, 30ml), now available at all major pharmacies, supermarkets and hypermarkets nationwide. For more information, follow Nutox Malaysia on Facebook here.